The citizens want the Commission to oppose re-issuance of a permit to withdraw water from the Apalachee River that is now being reviewed by the U.S. Army Corps of Engineers. Oconee County is a partner with Walton County in the regional reservoir project, and, so far, the Commission has given little indication that it is ready to reconsider its support for the intake facility. 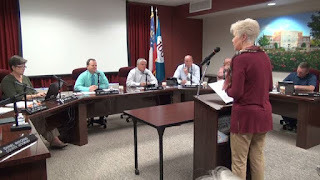 At the end of the meeting, after most of those who had come to speak against the intake facility had left, the Board did take one action that makes it unlikely the county will need any water from the Hard Labor Creek Region reservoir in the near term. The Board agreed to lease 6.25 percent of Barrow County's capacity of the Water Treatment Facility at the Bear Creek Reservoir in Jackson County, bringing Oconee County’s share of water from that facility to 4.5 million gallons per day. When the meeting began last night, 47 people nearly filled the Commission Chamber. Citizen comment is the second item on the agenda, and two Morgan County citizens came forward immediately to oppose the intake facility. The response from the audience was very loud and very negative, and, after a pause, Daniell said he would allow a few more presenters. In the end, he allowed all who wanted to speak to do so. The Walton County Water and Sewer Authority at present holds a permit from the Corps of Engineers to withdraw water from the Apalachee River from a site in Walton County above a small hydroelectric plant at High Shoals. The Authority is seeking to extend the permit beyond its expiration on Feb. 28, 2019, and to move the site of the intake from Walton County to a 202-acre tract in Morgan County off High Shoals Road, next door to the River Walk residential development. The Corps of Engineers issued a Public Notice on the request for the site change and permit extension on Feb. 20, 2018. At present, the reservoir is filling with water from the Hard Labor Creek basin, and the plan is to convert the reservoir to a pump-storage facility by using water from the Apalachee to expand the reservoir’s capacity in the future. Neither Walton nor Oconee county needs the water from the reservoir at present, and no water treatment plant or distribution system has been built. While citizens last night and at the Board of Commissioners meeting last week raised concerns about the obtrusiveness of the intake facility and about the possible use of the 202 acres for something other than the intake facility, the primary concern expressed at both sessions has been water flow. The Bear Creek Reservoir, a joint project involving Barrow, Clarke, Jackson and Oconee counties, also is a pump-storage facility, with water taken from the Middle Oconee River to store in the reservoir. Citizens who take the tour proposed by Daniell will get a chance to see an intake facility, but that is not responsive to the concern of the citizens that the Apalachee River does not have sufficient water at present and that diverting water to the Hard Labor Creek Regional Reservoir will harm the stream. Morgan County commissioners asked the Corps of Engineers to hold a public hearing on the permit modification and called for a public meeting with all parties involved to discuss the proposed intake facility on High Shoals Road. Oconee County has not publicly supported either request. Elisha Brannon, project manager in charge of the Walton Water and Sewer Authority permit modification request at the Corps of Engineers, told me in an email message on Friday that she cannot give a time line for a decision on whether to grant a public hearing. It “is still very early on” in the process, she said. Jimmy Parker, project manager for the Hard Labor Creek Regional Reservoir, told me in an email on Friday that the Corps of Engineers will forward a copy of all public comments received to the Authority, as the applicant. USACE refers to the United States Army Corp of Engineers. Parker also is senior vice president at Precision Planning Inc., with offices in Monroe. Oconee County Commissioner Mark Saxon, who is chair of the Hard Labor Creek Regional Reservoir Management Board, told me in an email message yesterday (Tuesday) that the Board is discussing alternate sites to the one in Morgan County. “We have started to discuss alternate site need,” Saxon wrote, “but not to the point of identifying any” specific site. At the meeting last night, the Board approved a modification to the intergovernmental agreement with Barrow and Jackson counties originally signed in 1997 to allow Oconee County to lease unused water treatment capacity from Barrow County. Oconee County agreed to lease from Barrow County 500,000 gallons per day of water produced by the Water Treatment Facility. Under the terms of the agreement, Barrow County's designated capacity of the Water Treatment Facility shall be 7.5 million gallons per day and Oconee County's designated capacity of the Water Treatment Facility will be 4.5 million gallons per day. 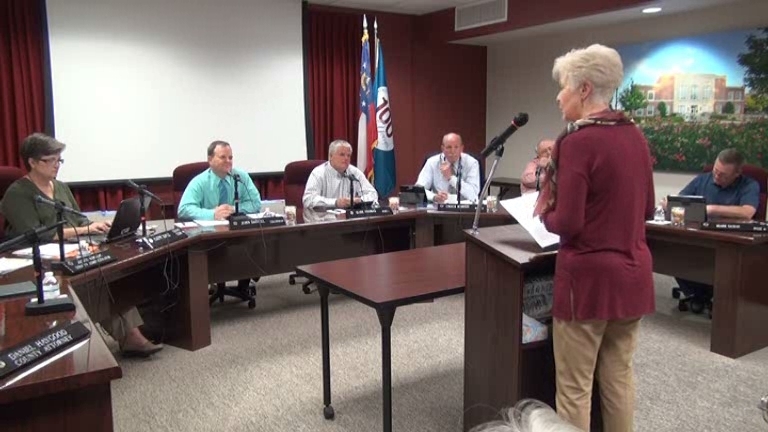 Oconee County agreed to pay $79,354 per year directly to Barrow County for the water. The agreement is to take effect immediately and remain in effect for five years. Oconee County has the option to extend the agreement for two additional years. Former Water Resources Department Director Wayne Haynie told the Board of Commissioners in January of last year that the county’s average daily water need should remain under 4 million gallons per day until about 2030. In other action, the Board approved modifications to the landscaping provisions of the county’s Unified Development Code to allow for greater flexibility in planting at development sites around the county. The Board also approved the appointment of Guy Herring, 1030 Christian Lane, Watkinsville, as director of the county’s Planning and Code Enforcement Department. Herring has served most recently as the director of Economic and Community Development for Barrow County and its municipalities. Herring replaces B.R. White, who stepped down as director of Planning and Code Enforement late last year to become community development director for the City of Oakwood in Hall County. Citizen comment begins at 1:03 in the video. OCO: BOC 4 3 18 from Lee Becker on Vimeo. Interesting attempt to "shut down" citizen comment without advance notice. Otherwise driving from a distance could have been properly planned by erstwhile speakers. This whole deal has been a mess since its inception. Mr. Daniels mistakenly tipped his hand to reveal he assumes it's a done deal.